We are very excited to announce that the macchina of De Tomaso is our 2016 Proiettore Macchina!! De Tomaso was an Italian car-manufacturing company. It was founded by the Argentine-born Alejandro de Tomaso (1928–2003) in Modena in 1959. Following a handful of Formula One appearances from 1961 to 1963, Alejandro De Tomaso built a Formula One chassis (designed by Gian Paolo Dallara) for Frank Williams Racing Cars to use in the 1970 Formula One season. The company went on to develop and produce both sports cars and luxury vehicles, most famously the Pantera, Mangusta & Longchamp. But what many fail to realize about De Tomaso was that he also also owned motorcycle company Moto Guzzi from 1973 to 1993 and rom 1976 to 1993 De Tomaso owned legendary Italian sports car maker Maserati, and was responsible for producing cars including the Biturbo, the Kyalami, Quattroporte III, Karif, and the Chrysler TC. It has been said that De Tomaso's production models "range from merely handsome to downright stunning", and have been called "practical exotics"
Alejandro de Tomaso is truly an interesting personality. In the 1970's he continually made headline news as he bought and sold car factories in the same way a used car dealer buys and sells Chevrolets. He juggled several companies and continued to enlarge his empire from 1966 until 1976. De Tomaso 505/38 is a Formula One racing car model, designed by Gian Paolo Dallara for Italian car-manufacturer De Tomaso and raced during the 1970 Formula One season by Frank Williams' F1 team. De Tomaso was born July 10, 1928 in Buenos Aires and kept his Argentine citizenship even though he has lived in Europe for more than 35 years. His grandfather originally emigrated from the South of Italy. Alejandro's father was born in Argentina in 1894. He studied medicine and law. He was Minister of Agriculture and on his way to becoming President of Argentina when he died in 1933 at the early age of 39. He participated in two Formula One World Championship Grands Prix, debuting on January 13, 1957. Despite his Formula One career, de Tomaso was much more significant in the motoring world as a maker of cars. He founded the Italian sports car company De Tomaso Automobili in 1959, and later built up a substantial business empire. Born in Argentina of a prominent political family, de Tomaso fled in 1955 to Italy – from where his paternal grandfather had emigrated – in his late twenties, after being implicated in a plot to overthrow the Argentinian president, Juan Perón. He settled in Modena and started his career in the car industry as a racing driver for Maserati and O.S.C.A. having married Isabelle Haskell, an American heiress who also raced cars. In 1959 he founded the De Tomaso car company in Modena, originally to build prototypes and racing cars, which included a Formula One car for Frank Williams' team in 1970. De Tomaso then turned to high-performance sports cars, most of which used aluminium backbone chassis, which were to become the company's technical trademark. 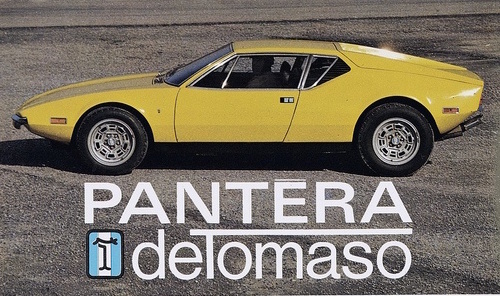 In addition to the Panetera, ​De Tomaso cars include the Vallelunga, Mangusta, Deauville, and the Longchamp. De Tomaso cars include the two-door, mid-engined Vallelunga, Mangusta and Pantera; the Deauville, a four-door saloon resembling the Jaguar XJ6; and the Longchamp, a two-door coupé version of the Deauville which later formed the basis of the Maserati Kyalami. 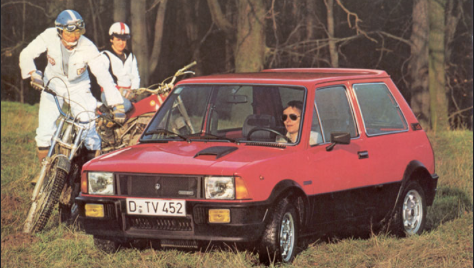 The Innocenti Mini is an automobile introduced by Innocenti in 1974. The vehicle was a rebodied, three-door hatchback version of the Mini, styled by Bertone. Over time, however, he sold many of his holdings; Ghia was sold to Ford, who would make much use of the name, in 1973; Innocenti and Maserati were sold to Fiat which subsequently closed the Innocenti brand in 1993. De Tomaso suffered a stroke in 1993, and the day-to-day running of the De Tomaso company passed to his son Santiago. In 1993 De Tomaso's produced the Guarà, a two-door sports car with a carbon fiber body shell. The Guarà is based on the Maserati Barchetta Stradale prototype from 1991, a true race car from which a few conversions finally made it onto the public roads. Fast forward to the spring of 2015 when is was revealed that the rights to the De Tomaso brand had been sold at auction. The storied Italian brand was sold to China's Consolidated Ideal TeamVenture, which picked up the company for just 1.05 million euros, or approximately $1.17 million. A lawyer for the buyer announced that Ideal TeamVenture plans to produce cars in China bearing the De Tomaso name. The holding company is incorporated in the Virgin Islands but keeps a physical office in Hong Kong.